The US may have more than 7,000 breweries, but it isn’t the only place that is creating some of the world’s best beer. Check out where to head for your next vacation and which spots to go to sample incredible beer while you’re there. Some are just down the street! 10. Paris, France: La Fine Mousse, Brewberry, Hoppy Corner. 9. Seattle, Washington: Future Primitive Brewing, Reuben’s Brews, Holy Mountain, Cloudburst, Pike. 8. 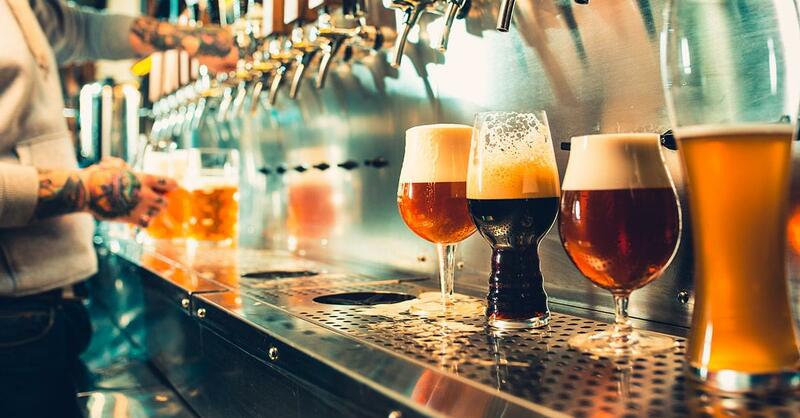 Tokyo, Japan: Kiuchi Brewery, Baird Beer, Watering Hole, Øl, Goodbeer Faucets, Mikkeller Tokyo. 6. Raleigh, North Carolina: Brewery Bhavana, Trophy Brewing, Bond Brothers, Ancillary Fermentation, Gizmo Brew Works, White Street Brewing. 5. Los Angeles, California: Monkish Brewing, Beachwood Blendery, Three Weavers. 4. Atlanta, Georgia: Reclamation Brewing, Creature Comforts, Variant Brewing, Local Pizzaiolo. 3. New Orleans, Louisiana: Brieux Carré, Parleaux Beer Lab, Miel Brewery. 2. Berlin, Germany: Heidenpeters, Hopfenreich, Brlo Brwhouse. 1. Austin, Texas: Live Oak, Austin Beerworks, The Brewer’s Table.